When Lisa Weinert, the Creator and Director of the upcoming Kripalu Conference on Narrative Medicine, began studying with me in class and trainings - she illuminated the ways in which my teachings provide many essential tools to support the process of Narrative Medicine. And while the concepts of Narrative Medicine was new to me, I learned that it has already been at the heart of my own work for many years. The focus of my practice (moving or still) is to develop the skills to consciously relax and create an environment for deep listening. Mindfulness and compassion practices are woven throughout, to help students foster a safe and caring inner- environment while excavating habitual, unnecessary, tension- and stories - layer by layer. Nurturing self-awareness and clarity in this way can eventually lead to a transformational state that Herbert Benson refers to as Remembered Wellness. Remembered Wellness, is also referred to as the relaxation response, which is the process of invoking good feelings, of feelings of well-being, to reduce stress, anxiety or pain. In short, healing happens when we relax and begin to pay attention inwardly, in an accepting and caring way, to ourselves: to listen deeply. The ability to be relaxed enough to feel our experience and understand ourselves—while not exaggerating, diminishing or ignoring our story. Being in this relaxed state can help us - rest and - digest our life experiences in order to flow forward, creating new stories. In this way, narrative medicine is not about working to understand the story, but rather that we remain an open channel for our story of life to continually ebb and flow through us. Remembered Wellness is what happens when you connect with your natural blueprint - your inherent okay-ness. When the mind body recovers a memory of wholeness and completeness. We are all on the continuum of healing. We can all benefit from daily relaxation—and relaxation doesn’t always look like stillness. You don’t need to be in a yoga studio or on a meditation mat. Breathing is the primary focus to initiate relaxation, and it’s portable. You can do it anywhere. This self-healing practice helps us hear ourselves and others better, which creates more loving relationships with ourselves and others in all parts of our lives. Creating this openness is the goal of my restorative and therapeutic yoga training programs—whether I’m working with students, teachers, practitioners, or patients. The Healing Power of Storytelling: A Q&A with Jillian Pransky moderated by Lisa Weinert. Mindfulness expert and world-renowned restorative yoga teacher Jillian Pransky has been teaching yoga for more than 20 years. Before coming to yoga, she identified herself as a “work hard, play hard” Type A personality. It wasn’t until she spent a year suffering from low-grade illness that she took herself to a yoga class and was able to listen to her body and reflect on how hard she was pushing herself. She describes experiencing a “lightning bolt moment,” when she realized she needed to change the way she was living. 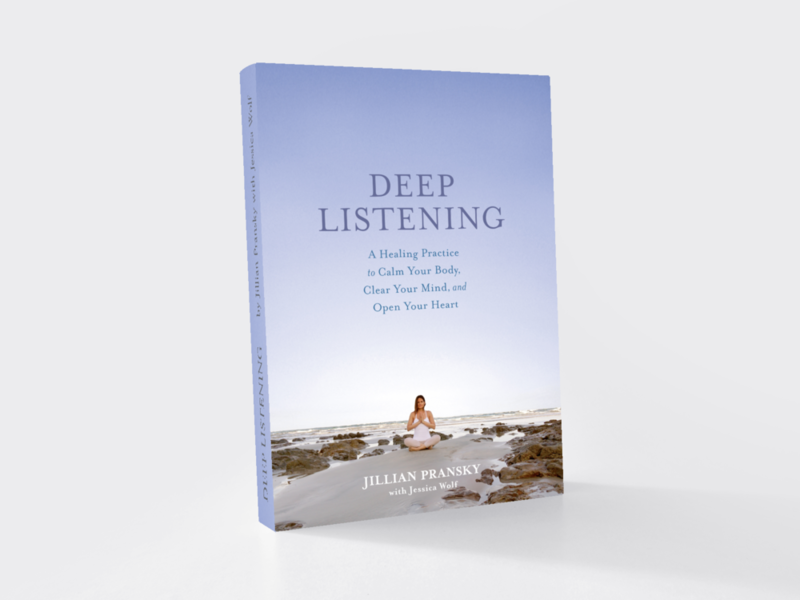 Since then, Jillian has devoted her career to studying and teaching mindfulness practices, deep relaxation, and compassionate listening. Her debut wellness book, published by Rodale, will be available October 2017. My understanding of narrative medicine is if we can be ourselves as teachers, practitioners, patients, or students, then together we can bear witness to life as it happening for individuals and for the human race. Thank you for reading. This conference has inspired me to dedicate the month of June to opening up our ears, eyes and hearts, to listen openly to our deeper layers and quiet voices - as well as to each other - and the world around us! May you enjoy this expanding season.